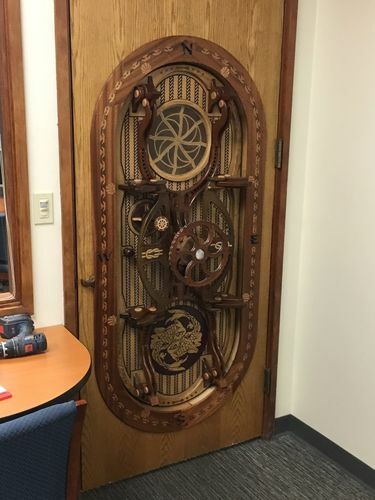 I have been working with wood for a long time. Just a guy making things for fun because I enjoy creating something that is a challenge. 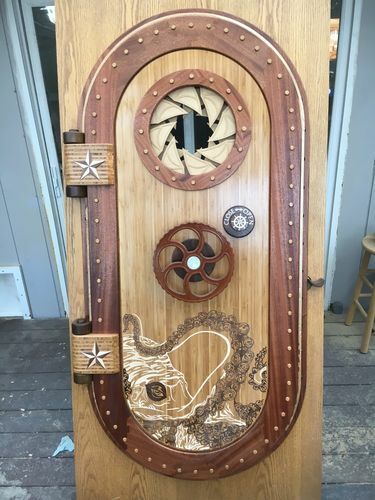 This is a submarine door all made from recycled lumber. 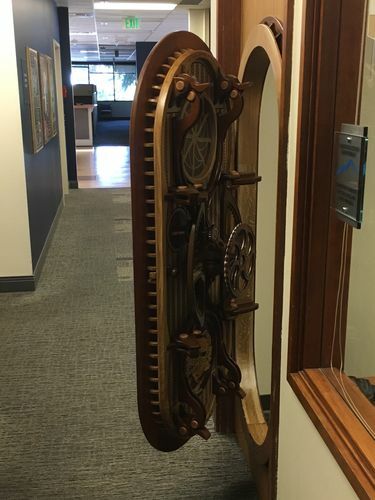 It is grafted into a standard door which is the door to my office at work. 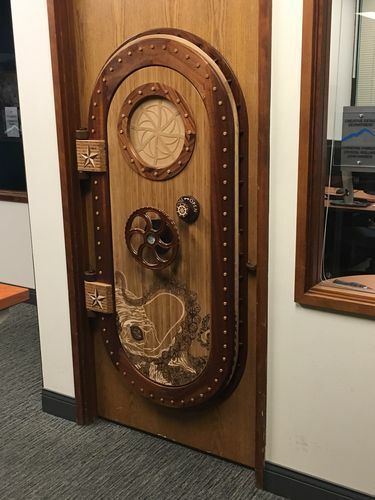 I made this all at home in my shop and installed it into my existing office door at work on the weekend. It has been up for almost a year and people still stop to check it out. 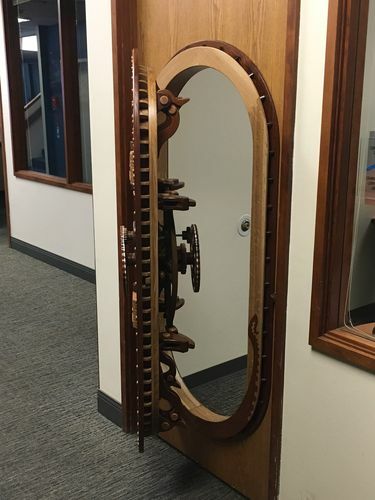 This has no screws or fasteners in it, all of the wood (1000 pieces total) is joined together with glue and joinery. 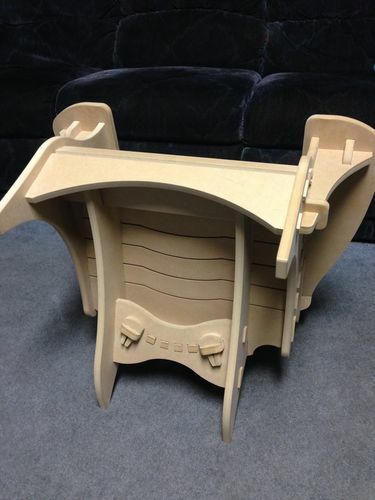 The woods used are sapele, oak, cherry, teak, ebony, ipe, bamboo, walnut, maple and some 5.2mm MDF for the iris parts. The center iris has 8 blades on each side for a total of 16 that all move together with one turn of the knob. There are about 150 parts in the iris alone. I have videos of the inner workings of the iris and the finished iris opening and closing but I’m not sure how to upload those… sorry. 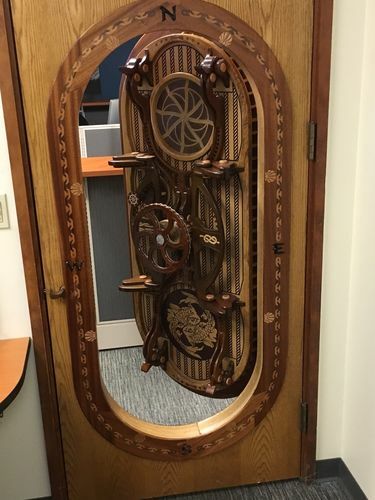 This door is all my original design and it took me 3 months to build (a few hours everyday after work), I used Sketch-up and AutoCAD and pretty much every tool I own including my lathe. So far only the people I work with have seen it, I hope you like it too. 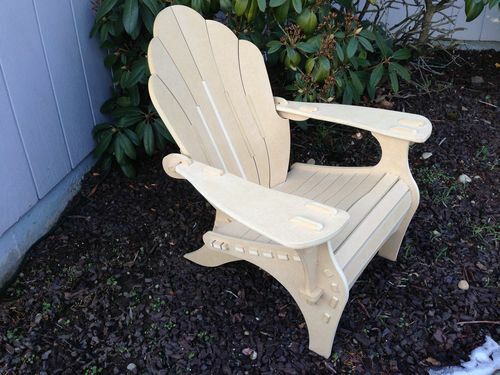 This is an Adirondack style chair which is assembled using no metal fasteners or glue. 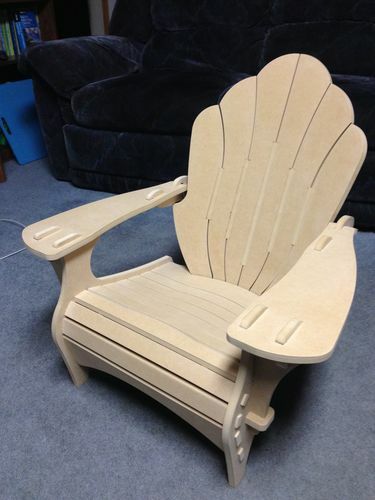 The one in the photo is constructed using MDF and cut on my CNC at about 2/3 scale which is the perfect size for a child. The last two pieces that go in look like little keys under the seat. Once those go in, that’s it. 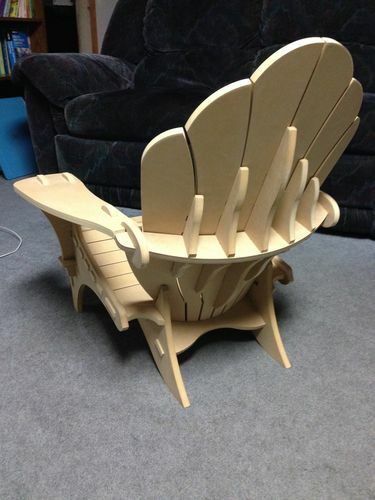 I might make a few this summer out of cedar.